Detroit's oldest collection of its kind, some of Olayame Dabl's beads date back around 400 years. 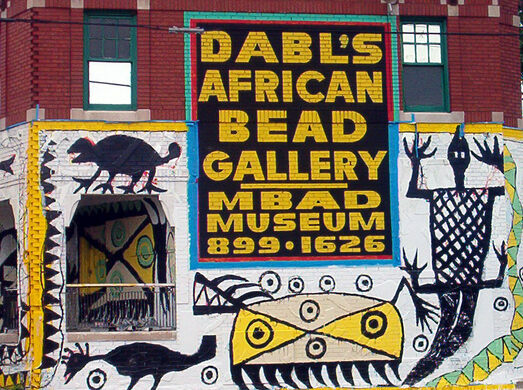 Tucked into a former house on Detroit's near west side, a short ride from downtown, the Mbad Museum and Dabl's African Bead Gallery is the fourth African bead museum to open in the United States. 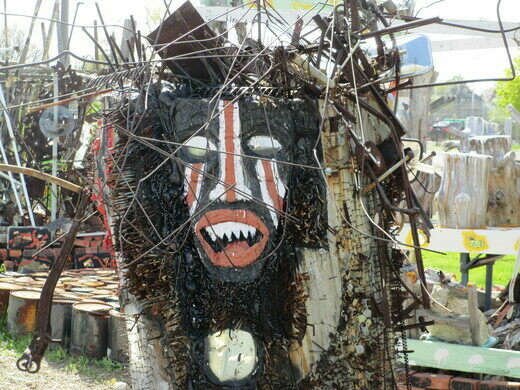 It holds a wide variety of art works, ceremonial beads, and related objects that date back hundreds of years. In addition to the huge collection of beads that carry a lot of cultural significance, the museum holds books on African history and culture, paintings and sculpture from local African-American artists, and objects crafted from ivory, silver, and other materials. The museum and collection are inside of a century-old rowhouse owned by Olayame Dabl. The outside is a sight unto itself, having been covered in bright, colorful patterns and African motifs overlaid with lots of sparkling mirror fragments. Join Olayame Dabls -esteemed fine-artist, museum curator, and historian - at the Mbad African Bead Museum to explore the history of African material culture and the sculptures that surround the museum. Tour runs 45 minutes with Q and A at the end.